She has been praised for her parenting skills. 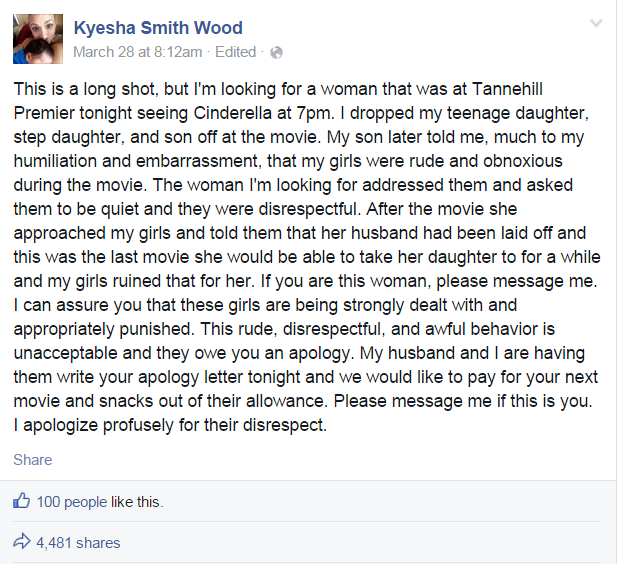 When Kyesha Smith Wood of Alabama, America, learnt of her teenage daughters’ unruly behaviour, she took to Facebook to apologize in a post which soon became an internet sensation. After fetching her teenage son and two 13-year old girls from the cinema the past weekend, she learnt that her daughters had been disruptive and noisy during the film. When a fellow movie-goer asked them to be more considerate, they responded with more disrespect and rude behaviour, her son told her. 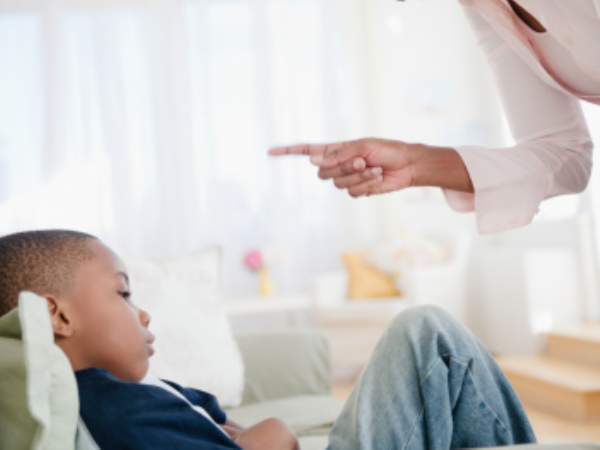 The post has since become a sensation online, and Kyesha has receive praise for her strong discipline and parenting skills. She also managed to get in touch with the woman from the cinema, who has commended her. Rebecca Boyd from Adger, Alabama said the note “brought me to tears” and showed there are “still good people in the world. Discipline without anger: Click here. Help! My child is out of control: Click here.